It is important for hospitals to develop a comprehensive Security Management Program to effectively support and maintain physical protection for patients, staff and visitors. Hospitals have to toe a thin line when it comes to balancing safety protocols with patient comfort. Beyond the ethical responsibility to keep patients and staff safe, the abundance of expensive medical equipment and potentially harmful drugs also puts medical facilities at a heightened risk of theft, whether pre-planned or a simple act of opportunism. 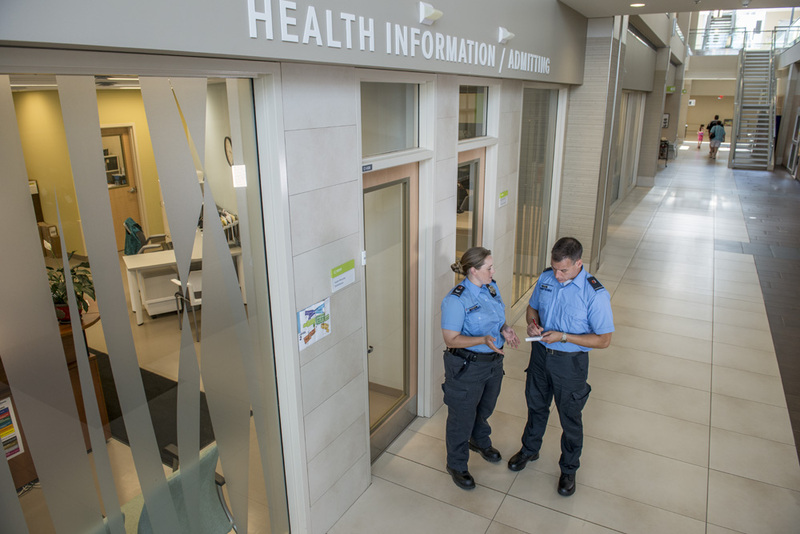 Creating a secure hospital environment is a delicate balancing act, involving a deft mix of management, technology, planning and building design. Hospitals with complex requirements will need access control systems, CCTV cameras with scalable security protocols, so that door scanners and ID cards recognise staff seniority, areas of practice and likely hours of work. 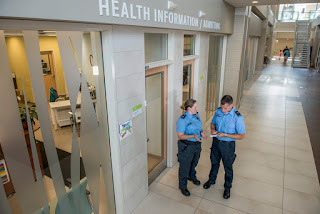 Trained Security Officers are also hired by Hospital Management, they are trusted individuals who can calmly and quickly react to a threat and who know how to de-escalate an incident before it fully erupts.